The deadlines of poster submision and registration have been extended to October 15, 2010. The hotels listed in ACCOMMODATION offer discounts (about 50% off) to the members of AMSS. The participants are adivsed to ask local organizers to make hotel reservations. 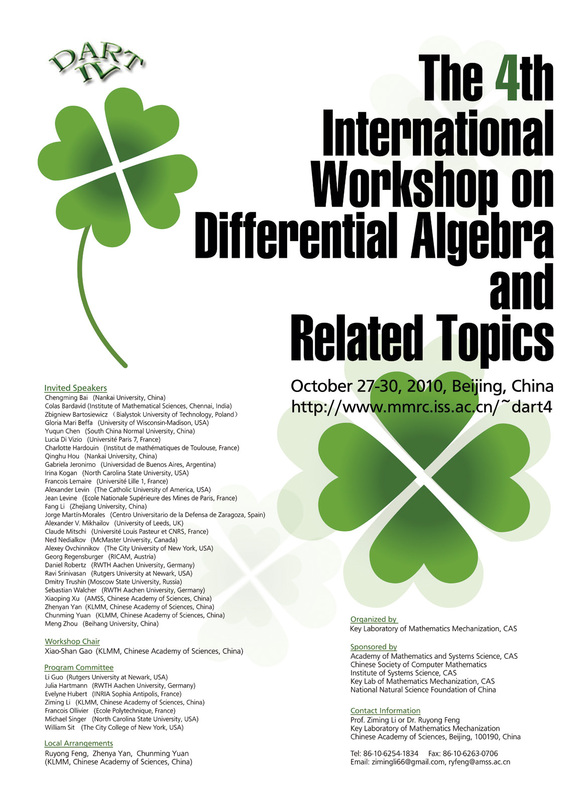 Please contact Dr. Ruyong Feng at ryfeng@amss.ac.cn if you want to make reservations. The conference poster is now available.